Rain is in the forecast and I can’t wait. 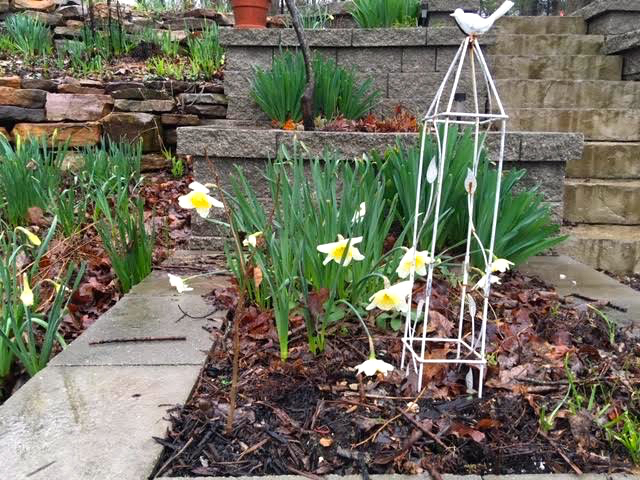 Every spring thunderstorm encourages yet another patch of daffodils to bloom. The old-fashioned, early daffodils have finished blooming and King Alfred is making a statement along with the Tete-A-Tete smaller splashes of yellow. I truly love seeing the daffodils in bloom, their sunny colors are a great way to celebrate spring. And since I don’t remember where I have planted them, it’s a bit of a treasure hunt to walk my paths and discover what is blooming around the corner. According to the Daffodil Society of the US, there are 13 1/2 daffodil divisions. I added the half for the “Miniature Daffodil” category. 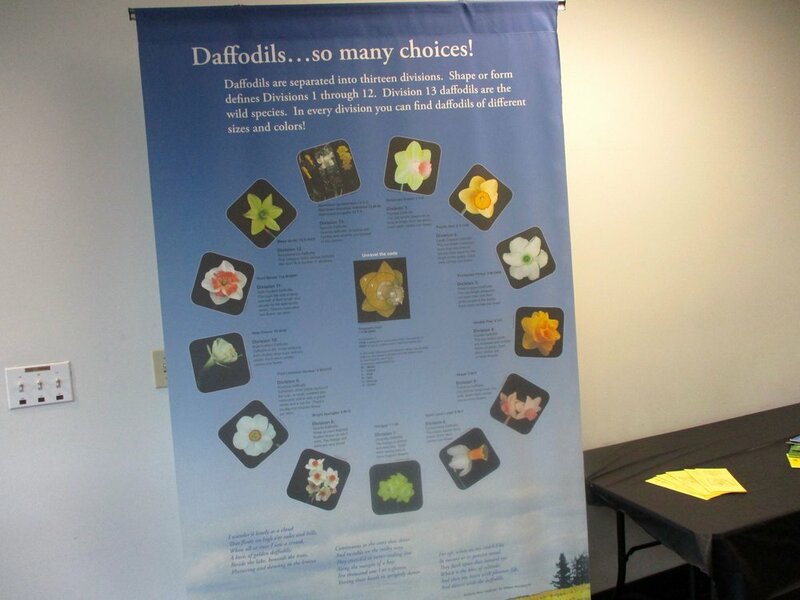 According tot he Daffodil Society, “there are thirteen descriptive divisions of daffodils. Miniatures have the same descriptive divisions as standards, only with smaller blooms, usually less than 2 inches (50mm) in diameter. One flower to a stem; corona (“trumpet”) as long as, or longer than the perianth segments (“petals”). One or more flowers to a stem, with doubling of the perianth segments or the corona or both. Characteristics of N. triandrus clearly evident: usually two or more pendent flowers to a stem; perianth segments reflexed. Characteristics of Sections Jonquilla or Apodanthi clearly evident: one to five (rarely eight) flowers to a stem; perianth segments spreading or reflexed; corona cup-shaped, funnel-shaped or flared, usually wider than long; flowers usually fragrant. Characteristics of Section Tazettae clearly evident: usually three to twenty flowers to a stout stem; perianth segments spreading not reflexed; flowers usually fragrant. Characteristics of Section Bulbocodium clearly evident: usually one flower to a stem; perianth segments insignificant compared with the dominant corona; anthers dorsifixed (ie attached more or less centrally to the filament); filament and style usually curved. Split-corona daffodils with the corona segments opposite the perianth segments; the corona segments usually in two whorls of three. Consists of daffodils not falling into any of the previous categories. Many are inter-division hybrids. Consists of the Species, Wild Variants, and Wild Hybrids found in natural daffodils. Miniatures have the same descriptive divisions as standards, only with smaller blooms, usually less than 2 inches (50mm) in diameter. My tete-a-tete daffodils are a welcome miniature daffodil welcoming visitors to my garden. I get to enjoy blooming daffodils all four seasons with this Four Seasons Lap Quilt I use as a wall hanging off my den. How many of these do you have in your garden?